As your floor begins to age over time, it will come to show obvious signs that you need to refinish it. Scratches, discoloration, dullness and constant dirt are signs that your floor is due for refinishing. This typically starts to happen after 20 or 30 years of your last refinishing. Fortunately, a typical hardwood floor – especially those made of ¾ thick inch wood – can be sanded at least six times before replacement. So, unless your floor is particularly old or you’re someone who believes in refinishing it every three years, there’s a high probability that your old and worn looking floor can be made attractive again. However, before you jump into sanding and refinishing your floor, there are a few things you need know, which will be covered in the post. 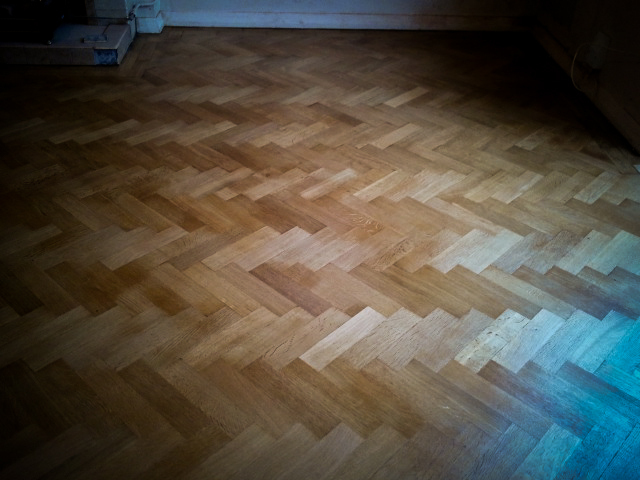 Why should you sand and refurnish your floor? As a rule, after about 20 years, any hardwood floor will begin to show signs of wear and tear. While this doesn’t mean you need to replace your floor, you’ll more than likely want to restore it to the attractive state it was in before. Sanding a hardwood floor will help remove unevenness, take away the rough edges and any other foreign bodies that have accumulated on your floor over time. After sanding, the next thing to do is refinish or recoat. This will restore your floor to its original appearance and shine. If your plan is to change the look completely, sanding and refinishing will allow you to use a different stain or colour on your hardwood floor, which will give it a new look and finish. Additionally, in the event that a specific part of your floor is damaged and you need to change that area alone, refinishing will help blend the old floor with the new wood, so that the addition is not visible. Who should you hire to sand and refinish your floor? Hiring a professional is a no-brainer, but it has to be someone who is an expert in sanding, refinishing or installing hardwood floors. Sometimes, one contractor can handle all such aspects, while at other times, you might need different people to handle different segments of the process. However, it could be more beneficial to hire a single contractor to handle the job from start to finish. Not only would this be less of a hassle for you than engaging numerous contractors, it would also be cheaper. Before settling on a professional, ensure you conduct ample research so you don’t end up picking the wrong person. Even if the contractor was recommended, make sure you do your due diligence, such as reading up on the company online and searching for reviews to find out what past clients are saying. Who should you not hire? No matter how much of a DIY expert you might be, it is not recommended to undertake the task yourself. While it may appear that this warning is self serving (as it comes from a professional sander who would want you to engage his services), it goes further than that. In order to sand your own floor, you will likely need to rent a sander from any of the available rental companies. However, the truth is that the equipment you rent can never be as powerful as that used by professional sanders. So, unless you are a professional sander yourself, you will likely make mistakes or miss out on a lot of floor area. At the end of the day, you’ll end up spending more and could eventually jeopardise the whole job. There is also the possibility of being seduced by a professional ‘jack of all trades’ or certain handymen. These people may do well when it comes to fixing a loose board, but sanding and refurnishing is outside their expertise. In order to avoid the many dangers associated with unprofessional sanding (and to secure a professional job), ensure only an expert sander works your floor. How much does floor refinishing cost? Most professionals will charge per square foot, but there is no benchmark or ceiling when it comes to cost. This is because individual contractors fix their prices based on their unique criteria. Additionally, a few other factors come into play when considering the cost of sanding and refinishing. For instance, your location, ease or difficulty of access to your house, size of the job and type of materials and finish used will each play a huge role in how much you end up paying. If you live in an area where parking is a problem or your apartment can only be reached by a staircase or elevator, you may have to pay more than normal. However, a good idea is to always try multiple contractors, so that you can compare prices and expertise before committing to one. You will almost certainly find something within your range or budget if you’re patient enough. When is the best time to work on your floor? Many people assume that there is a particular time of year when sanding and refinishing a floor will be cheaper; maybe due to a slump in business or a change in season. In truth, there’s really no good or bad time to sand and refinish your floor. For instance, the time of the year will likely not affect the cost of the job, unlike if you were fixing your roof or glazing a window. As this is a job undertaken indoors, you can have it done any time of the year. However, if you’ll be required to leave furniture outside the house while your floor is being worked on, then you’ll likely want to complete the job before it rains. It is also prudent to move items out of the house to avoid dust, the odor from the finishing and the general disruption that would accompany a sanding and refinishing project. Fortunately, it doesn’t take too long to finish. Depending on the size of your home and the complexity of your needs, a flooring project can typically take between three days and a week, although it has been known to take longer for very large properties.